i have so many things in the works right now, my head is a bit cluttered. especially when i only have an hour or two in the evenings to "work" and the kids don't go back to childcare until next week (they only go for one day a week anyway but oh how i have missed that day this week!). one of my new years' missions is to clear a bit of space in my jam packed sewing/printing room. it starts to stress me out when there is not an inch of shelf space to spare and there is a lot of stuff in there i'm not using and probably will never use. so, a little destash sale is in order. i'm going to hold it in my trusty old onegirl etsy shop, which seems fitting. 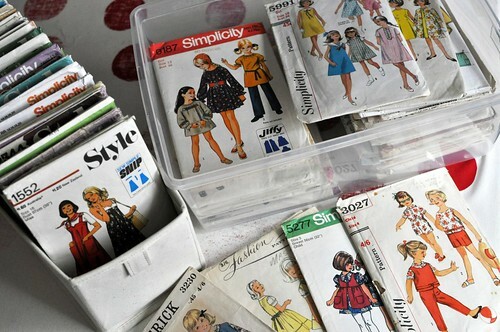 it's mostly quilting yardage and vintage patterns, with a few craft books and scrap packs thrown in for good measure. if you want to help out my dehoarding, the sale will launch on january 15th! Wow! 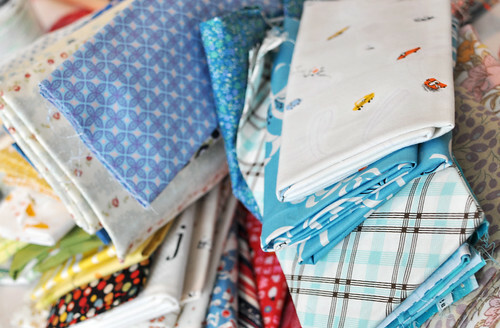 Look at this fabrics- I will be waiting for the 15th with baited breath! Oh no! I am so going to have to stay away...trying to do a destash of my own!!! I gav credit to your pattern, thanks a lot for this! I got so excited by the word "destash" I headed straight to your etsy shop and thought, darn all the fabric has gone.